Among the most significant enablers of a connected world, today is social media. It is beyond doubt that social media has enabled the making of a faster, smarter and more informed world around us. The facts speak for themselves. Each month there are more than 2 billion active users on Facebook. Twitter has 365 million users worldwide. On the other hand, niche image content-based social media like Instagram is also catching up fast with nearly a billion users. In fact, according to reports from the Digital Marketing Institute, 78% of businesses are already leveraging social media marketing. This number according to the report has already gone up by 67% over the last five years. Yet another publication by HubSpot asserts that 91% of marketing executives have reported an increase in their brand visibility by spending only a few hours on social media every week. However, with the bandwagon effect of brands moving towards social media catching up fast, challenges are also coming up to the fore. While investments in social media marketing are set to touch the figure of USD 48 billion by the year 2021, it is equally true that only a few brands have invested not only dollars, but the serious effort, expertise, and resources in social media marketing have been able to achieve their marketing goals. The takeaway of this statement for marketing executives and brands here is that while social media as a platform is open for every brand to enter and leverage, there are finer nuances of expertise, planning, and strategy that they need to adopt and adhere to, to scale success with social media marketing. Leading by example is the iconic consumer products brand Apple that broke the internet with its social media marketing campaign titled “Shot on iPhone”. The brand ran a social media campaign with the hashtag #shotoniphone. The campaign requires users of Apple iPhone to click pictures and share them on platforms for image content like Instagram. Given that Apple has as many as 91 million iPhone users, Apple leveraged the ideas emanating from the trends of photographic content picking up the pace. All that Apple users have to do is click a photograph on their Apple iPhone and post it on Instagram while mentioning the hashtag #shotoniphone. As on date, more than 4.3 million posts have the hashtag on Instagram. Apple selects the best of these Instagram picture posts and shares those on its Instagram page. Takeaway: The lesson here is to accord due importance to visual storytelling. People absolutely love great visuals; register those that they like in their memories for a long time and feel more engaged with the brand when things are conveyed through imagery. If you are a social media marketing executive and are inspired by Apple’s campaign, you can create really great images with an online banner maker that allows you to choose from many great modular layouts and even customize it. If you want to take your social media marketing to the next level, try using a social media banner design maker from Bannersnack or ThemeForest for best themes and templates that offer ready-made templates running into thousands and also offers customizability features. At a close second on our list is the world’s largest selling soft drink brand, Coke from the house of Coca Cola Incorporation. Coca Cola’s “Share a Coke” campaign is unlike anything that you can come across in social media marketing among consumer brands. Coca Cola allows buyers to personalize their Coke bottles by sharing people’s names on them. 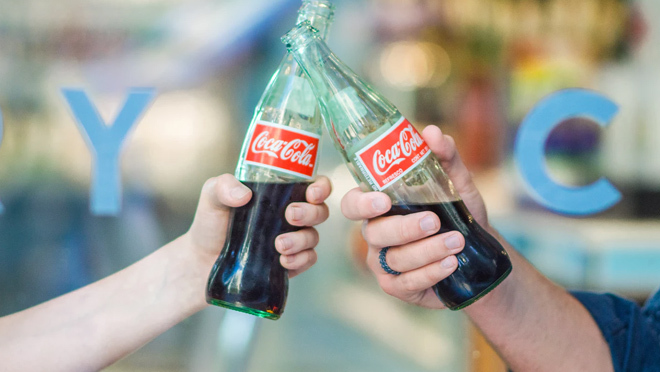 When people find their name or the names of their friends and family on the bottle of Coke, they instantly feel more connected and engaged with the brand. Coca Cola ran a social media campaign that allowed users to share pictures and videos of them enjoying their favorite Coke with family and friends on Twitter and Instagram with the hashtag #shareacoke. Links and guidelines on next steps for sharing such user-generated content are available in the bio section of Coca Cola’s social media profiles. The results have been awesome with users running into millions taking to their social media accounts to create and upload pictorial and video content on their experiences of sharing a Coke with their community. Takeaway: The lesson from this campaign of Coca Cola is to focus on leveraging joy appeal and empathy. The key brand differentiator of Coke and the brand philosophy of spreading joy by sharing a bottle of Coke, allowed users to not only take initiative but involve their near and dear ones in the experience, thereby amplifying the popularity of the campaign and the brand on social media. If you are into planning a social media marketing campaign, ask yourself some serious questions on empathy. How can the users of your brand feel empathetic and happy in sharing your brand’s value with others in the community? The answer to this question will set your social media profile on fire. 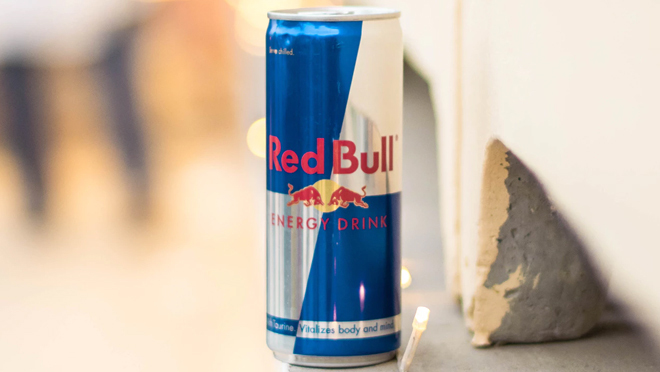 Red Bull has been “giving wings” to its buyers since 1987. Over the years Red Bull has launched 4 different flavors of energy drinks to cater to a larger menu of tastes and preferences of its buyers. Back in the summer of 2015, Red Bull was on a drive in Australia to raise brand awareness among buyers. Their goal was to aggressively promote their tropical flavored “Summer Edition” that was due for launch that year in the summer season. Mindful of the upcoming summer season and the necessity to invoke the attention, interest, and desire of its followers, Red Bull ran a social media marketing campaign on Instagram. The brand created tons of awesome image and video content showcasing yellow filters that symbolized the typically hot summer days in Australia and created the hashtag #thissummer. The results that followed were awesome. The brand expanded its outreach to more than 1.2 million consumers and was able to increase awareness by 10 percentage points. Takeaway: The key takeaway here from Red Bull is to focus on color coding in the content creation for social media marketing campaigns. It makes enormous good sense for content creators and graphic designers to research extensively on the precise color scheme that they would like to use across image and video content to demonstrate the key brand differentiators and synchronize it with the hashtag to be run on social media platforms. A great choice of color scheme adds a competitive edge to the brand memory of consumers and steers it clear of competition. The original power brand in the world of chocolates, Snickers redefined the power of the hashtag on social media with its campaign “#GrabaSnickers”. The brand created a unique hashtag that focused on underlying themes of consumer action, simplicity and had the quintessential element of craziness that the brand is known for. The brand created highly engaging and short video content with the message that when people get hungry, they get angry to the extent that they very often forget their original being and identity. 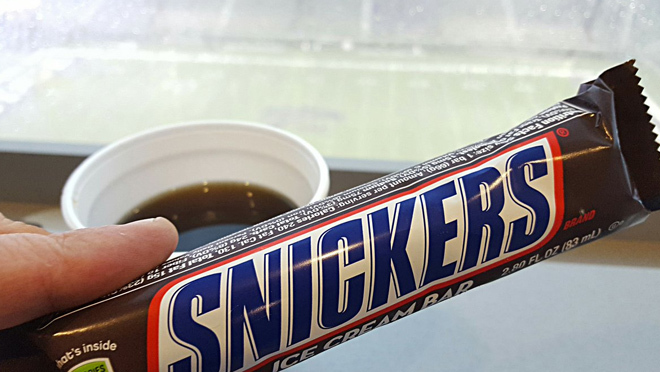 Snickers promoted a solution to the hunger on the go that could be grabbed anywhere and anytime to appease the fire of hunger. Takeaway: Leverage the power of video creation to demonstrate the wild nature and levels of craziness that a challenge can drive a consumer too. There are many ways of doing it. For great video editing, choose from a range of top video content editing software products for personal computers like Adobe Premiere Pro CC, Final Cut Pro X, Corel Video Studio Ultimate X 10, Pinnacle Studio 22, etc. 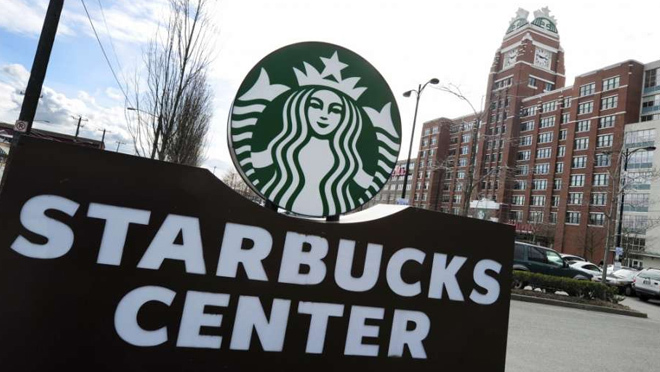 Concluding our list of great performing social media marketing brands is Starbucks. The brand is famous among its consumers for launching limited edition products that are on offer only as long as the stocks last. For one such limited edition product named the Unicorn Frappuccino, the brand ran a social media campaign on Instagram and Twitter in the year 2017 with the hashtag #unicornfrapuccino. Starbucks created and posted image content using the hashtag across social media platforms to create a buzz around the product within a very short window of time. By the month of April in 2017, there were as many as 180,000 posts on social media featuring the hashtag #unicornfrapuccino. Takeaway: The key lesson to be learned from the Starbucks social media campaign here is to create and post social media content within a limited period of time to push consumers towards action now. You can automate your social media feed; pre-define the timing of your posts and budget time for social media marketing. Applications like Hootsuite, Crowdfire, and Coschedule allow you plenty of features and functionalities to automate your social media marketing campaigns and set yourself free to cater to other items on your daily checklist at work. On a concluding note, social media marketing is in and is here for the long haul. It is not going away any time soon for sure. Second, there is a vast diversity of productive software apps that allow you to create great graphics content, automate your posting and save time. While technology shall continue to be a great enabler of social media marketing, the importance of creative thinking, copies of powerful content and aesthetics cannot be ruled out. Finally, there is no textbook approach to social media marketing. Every brand is unique in its offering, value proposition, and offering and has to custom create its own brand messaging strategy to scale success with social media marketing.